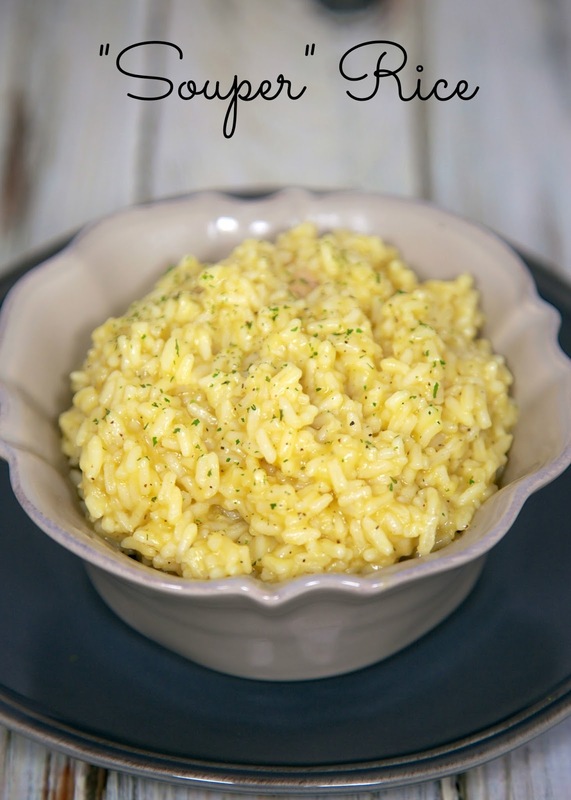 Souper Rice - quick creamy cheater risotto recipe made with minute rice, cream of chicken soup, chicken broth and parmesan cheese - ready in 10 minutes. This "Souper Rice" is so good! It is like a cheater risotto. This rice is made with chicken soup, instant rice, chicken broth and parmesan cheese. It only takes about 10 minutes from start to finish. We both loved the flavors. 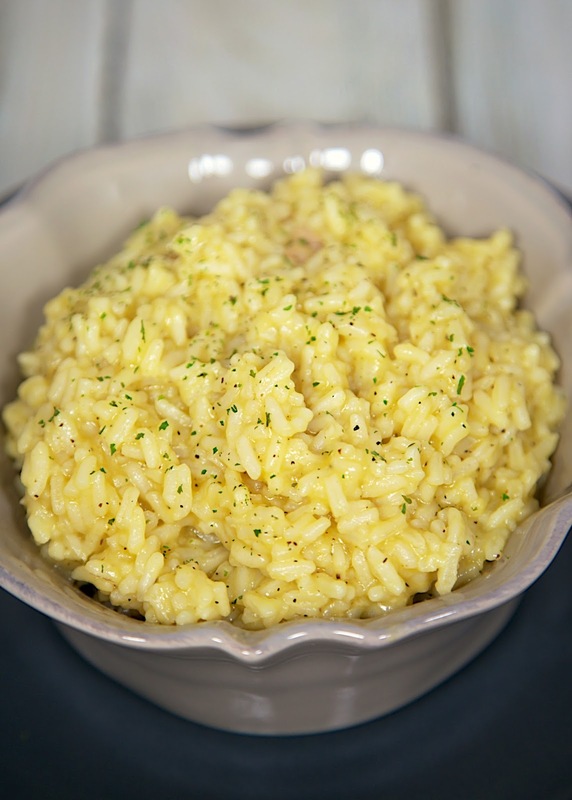 This is a great base recipe to get creative with.You could add some chicken, peas and mushrooms and this rice would be a full meal. Feel free to use Cream of Mushroom soup or your favorite Cream of Soup flavor in this dish. You can also switch up the cheeses. Cheddar, asiago, romano - use whatever your family likes. I used grated parmesan cheese from the green jar and it tasted great! Heat the soup and broth in a 2-quart saucepan over medium-high heat to a boil. Stir the rice, cheese and pepper in to the saucepan. Cover the pan and remove from heat. Let stand for 5-8 minutes, until rice is cook and most of the liquid is absorbed. Oops! This sounds great but I never have instant rice on hand. Has anyone made it with regular white rice? This looks so good. I'm always on the lookout for easy sides. I made this tonight I used grated parmesan reggiano. It cane out perfect so easy and yummy. Ann I dont care for instant rice and had to go out and buy it but it was well worth the $1.50 because this came out great. Thanks Katara! Got the instant rice & making it today! I made this last night - added chopped rotisserie chicken, it was delicious! I've made this 3 times & it's always good! All I have is steamed rice in a bag, do you think if I halve the liquids that would still work since the rice is already cooked? Making this with regular rice tonight. But I'm only putting one cup of rice in it and I am adding chicken. Not a cheese fan, could I make this without it? Sure! Either will work fine. Enjoy!